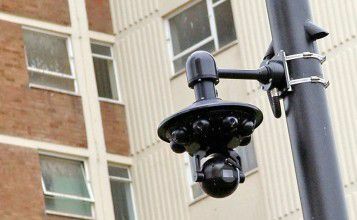 Our Safe City CCTV Case Studies show how such disruptive technologies make significant savings whilst strengthening security. Security organisations around the world spend millions each year, trying to collect suitable images, searching through days or even months of video for just a few seconds of crucial evidence. The vast majority of these efforts result, daily, in lengthy reports as to why the evidence available could not be used because the incident did not occur close up to the camera, or was missed completely because the PTZ Camera was pointing the wrong way. The patented Viseum security design is the most cost-effective to protect more people, vehicles and other assets of a remote site than any other solution. We estimate that in order to compete with the coverage, level of high security and situational awareness that Viseum offers, a competitor would have to quote at least triple for what will remain an inferior solution for effective coverage, technical performance, and reliability. This figure also excludes the extreme costs for installation and 24/7/365 monitoring of the many cameras needed to deliver similar security coverage using inferior solutions. If typical costs of crime are just $3,000 per crime (Just one alcohol-related street fight typically costs a community $8,000+. This also includes average costs for police, ambulance, hospital and other associated average intangible costs such as fear and inconvenience caused by just one such offence). If the typical number of crimes per year is 20,000, then the total costs of crime are $60 million per year. Possible savings using Viseum = $60 million x 0.7 = $42 million per year. If just 50% of this crime occurs where Viseum camera systems are deployed and dealt with (Viseum’s CCTV Performance is known to deliver significantly higher). Total yearly savings per city = $21 million per year. 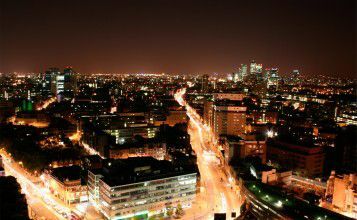 The long-term deterrent value created using Viseum intelligent CCTV results in a drop in local crime rates and reduced insurance premiums, attracting new businesses, visitors and new residents to what has now become a low-crime city.